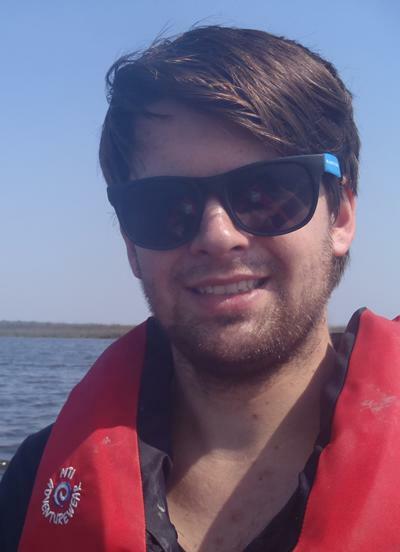 Phillip studied MSci Marine Biology with study abroad within Ocean and Earth Science, National Oceanography Centre Southampton at the University of Southampton. Studying at UNCW provided me with a more rounded marine biology degree, modules at Southampton provide both oceanographic understanding behind biological processes and general ecology. What made you choose the degree you studied? Always been interested in marine life, documentaries such as Blue Planet fuelled that interest and I knew I wanted to study marine biology from a very young age. What made you select the University of Southampton to study that degree? Chose Southampton due to the 4 year integrated Masters Course, as well as the opportunity to study abroad. I was put off other universities that use their first year to establish a uniform level of biological understanding. Southampton throws you into ocean sciences from the start and I didn’t want an introductory year repeating A-level biology. How did being located at NOCS benefit your time at university? Being able to participate in practical classes on the Solent and during field trips introduced me to useful fieldwork, data analysis and report writing skills. I didn’t appreciate this until studying in the USA where I found the level of practical/report writing experience gained by undergraduates is minimal. What did you enjoy most about your degree? Studying at UNCW provided me with a more rounded marine biology degree, modules at Southampton provide both oceanographic understanding behind biological processes and general ecology, whilst at UNCW I could take stereotypical marine biology classes such as: marine mammals, ichthyology and coastal management modules. Participating in necropsies of marine mammals through the UNCW marine mammal stranding network was a memorable part of my degree. Having studied in the US during my degree, I was not phased by looking at work experience and higher education abroad to pursue my goal of working within the resource management field and, more specifically, resource management within the deep-sea. The experiences of studying abroad, the field work skills gained and the interest sparked during modules such as Deep Sea Ecology, meant that after graduation I knew I wanted to pursue a consultancy career in deep-sea management, as deep-sea mining was highlighted during my degree as an up-coming industry that has the potential to greatly impact the marine environment. What are you most proud of (or please give a highlight of your career so far)? In the hope of working within the resource management field, I contact numerous universities within the US, Australia and the UK; targeting people who work within the deep-sea field and enquiring if they had any upcoming work within the resource and governance fields that I could volunteer for. Of those that got back to me, Dr. Cindy Van Dover of Duke University expressed an interest in having a PhD student working on pre-industrialisation policy. Being accepted onto the Marine Science and Conservation program is a highlight of my career so far, my work will look at the importance of rare species in the deep sea and how these may be incorporated into management plans for deep-sea resource extraction. Of the professors I contacted, I did not expect to hear from Dr. Van Dover as she is a very high-profile researcher within the deep-sea community and I certainly did not expect to be encouraged to apply for a PhD (I initially emailed to ask for work experience). What advice would you give to a student starting their degree at Ocean and Earth Science Southampton? I did not manage to get my current job with NERC or my PhD by applying to jobs advertised on job sites. Months of rejections and only a few interviews after graduation showed that the marine science field was extremely competitive. My advice for student starting their degree is to volunteer in summers if you can to gain lab experience and any practical experience you can. Towards the end of your degree, don’t just apply to jobs advertised, email people with a cover letter and CV that work within the field you are interested in looking for work, you never know who will get back to you and with what kind of offer.